Beyond transmitting facts and knowledge and engaging in intellectual discussions within classrooms and lecture halls, your holistic training as a student includes a dynamic involvement in the life and ministry of a local church, relationships with your classmates, relationships with TCA College staff and faculty, and last but not least, an active engagement with the surroundings culture. Your journey with us begins with your participation in an array of activities, events and non-academic programs that help you to forge many life-long friendships and ministry partnerships as well as foster a climate of spiritual vitality within the community. To build a sense of community on campus, there are times when all faculty, staff and full-time students cease lectures, classes and work to come together to celebrate one another’s achievements or simply enjoy the 3 F’s – fellowship, food and sanctified fun. Current full-time students and graduates can reminisce memorable moments spent during the annual College Cohesion Day, Cultural Night as well as Graduation, to mention a few of the highlights that take place on various occasions throughout the year. 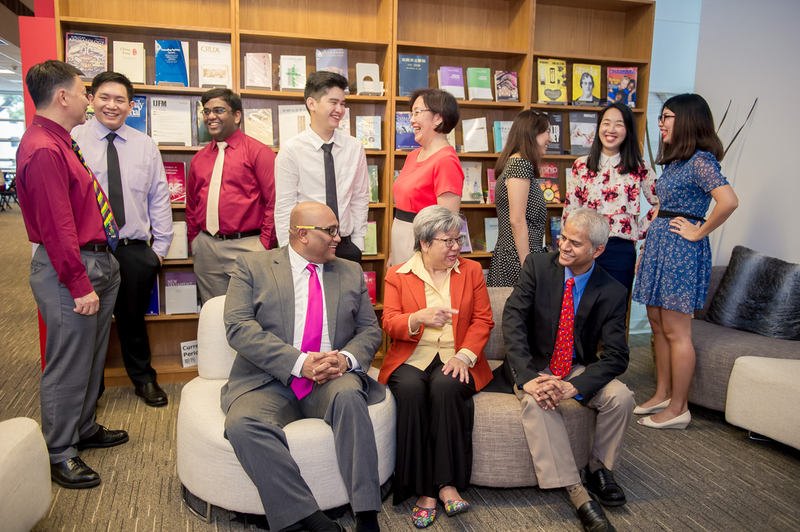 A hallmark of full-time student life in TCA College is that students engage in regular small group interactions that are facilitated by faculty advisors and student leaders from the Student Council. Not only will you be engaging in stimulating and open discussions on issues and challenges that face the Christian community, but you will be involved in prayer support and accountability. This creates a holistic environment that cultivates spiritual formation in each student and enhances relationship building and camaraderie between the faculty and students. Chapel is a fundamental part of the overall educational experience you will receive at TCA College as a full-time student. Each chapel session is positioned strategically to promote the discipline of corporate worship and prayer, address current challenges that you and fellow Christians face, as well as develop the campus community. Chapel sessions are held on first and last Wednesday of the term. Messages are regularly shared by various members of faculty, experienced local and overseas ministers and student leaders. At TCA College, your personal spiritual growth takes priority. We highly encourage you to maintain regular private devotions and be consistent in participating in prayer meetings and services held at the local church that you attend. You may be selected to be part of teaching teams under the supervision of the Dean of Students or a faculty member to visit churches for promotional and ministry purposes. As a full-time student, you are highly encouraged to participate in at least one mission trip a year under the aegis of TCA College or a local church. These ministry exposure trips allow you to have a hands-on experience on ministry skills and learn from the rich intercultural ministry interactions. In April 2016, Dr Babu Immanuel led a few of our students to a Vietnam Bible School (in Ho Chi Minh City) to teach a module on the Synoptic Gospels.